Experienced IT and Cloud Channel Professional. Leads the Amazon Web Services Global Differentiation Programs, which includes hundreds of software and consulting partners around the world. Rachel owns the overall strategy, execution, and marketing of global differentiation programs at AWS. She was employee number two and an integral player in launching the AWS Partner Network (APN) 7 years ago, which included program development, partner enablement and onboarding, building strategic partner relationships, and driving overall program marketing and communications. Prior to her years at AWS, Rachel worked as IT and data center specialist providing clients around the nation with top solution providers to support their IT business goals. Majored in Business and Communications at Washington State University, Cume Laude Honors & Presidents Dean's List. 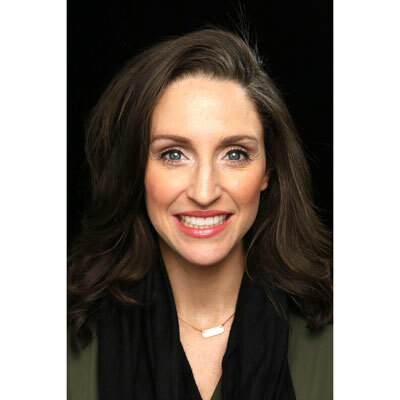 As the Head of APN Differentiation Programs, Rachel owns the overall strategy, execution, and marketing of global Competency and Service Delivery Programs at AWS. The AWS Competency Program recognizes APN Partners that are strong in specific skillsets, workload and verticals. The AWS Service Delivery Program recognizes APN Partners with a track record of delivering specific AWS services to customers. Both programs provide APN Partners with the platform to truly differentiate their AWS products and services based on their demonstrated success with AWS Customers. Her and her team are responsible for driving the program brand, build stringent partner requirements, market the program to partners and customers, drive program growth, as well as leading and communicating global Competency launches cross-functionally, and drive global requirements and execution for building scalable AWS Competencies. Over the past year, my team has significantly expanded on our partner Competency Program to include Machine Learning, Storage, Security and Networking, as well as the addition of over 40 sub-categories to further support our partners through differentiation. In addition, we've focused on adding strategic partners in each region, building enablement tools (business and technical), hiring great people, and driving focused marketing efforts for specialized partners. This year, we'll continue to find ways to help our partners grow their businesses by leveraging our foundational AWS Partner Programs, as well as delivering high-value partner enablement, training, certifications, and go-to-market initiatives on a global scale. At Amazon, we are customer obsessed which includes the way we design our partner programs. We're placing a huge focus on building and leveraging scalable tools that aid our customers across the globe in finding the right partners based on their AWS business needs. We'll continue to build new programs and Competencies that are directly requested from our customers. If I have to select one, I'm a huge fan of Angela Duckworth, a pioneering psychologist who has spent her career in research studying grit and self-control. Her results found that it's not natural aptitude, IQ, luck, or genius that drives success, but its grit. The power of passion and long-term perseverance when driving to your goals is the most important predictor of success and well-being. So ladies, roll up your sleeves, follow through, and be fearless in the face of adversity! You'll never be younger than you are today. Enjoy it all. Laugh, dance, smile, be confident, be silly, take risks, make friends, and seek out new experiences. Stand up for what's right. The practical side of me would say save money, love yourself, and be kind to your siblings. In this industry, you have to keep learning. Everything moves way too fast. I continue to focus on building my technical skills. An area that is so interesting to me is machine learning and artificial intelligence. How computers are adapting based on the data we send them. It's changing how we live our day-to-day lives. I recently finished Option B by Sheryl Sandberg and Adam Grant. It's an incredible book that teaches the reader the importance of resilience and overcoming adversity in the face of unimaginable challenges.